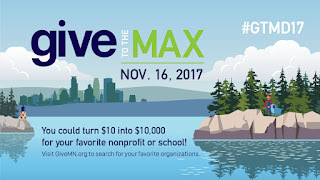 Tomorrow is Give to the Max Day 2017. 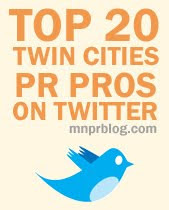 It is the pre-Thanksgiving Day way to draw attention to Minnesota non-profits. There are so many worthy causes to give to it can be overwhelming to think about it. I want to challenge you to step outside of your comfort zone for one minute and try giving to an organization that you believe in. Check it out!